Employment builds self respect and self esteem, develops social skills and provides meaningful structure to the day. 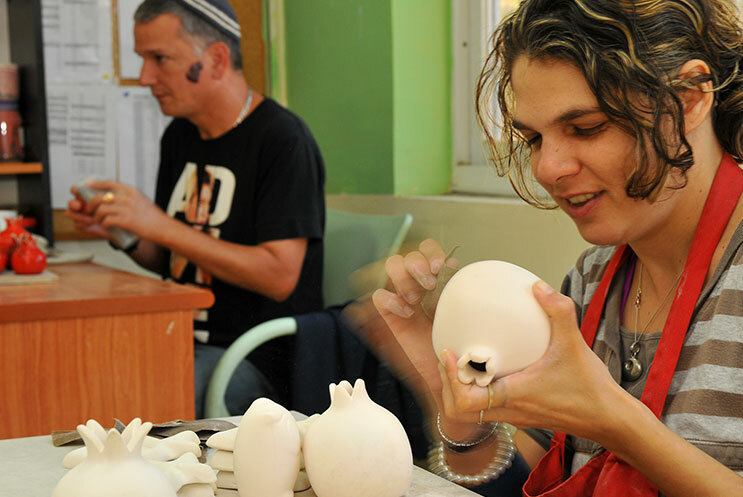 The residents of Kfar Tikva enjoy productive work environments geared to their abilities and personal preferences. 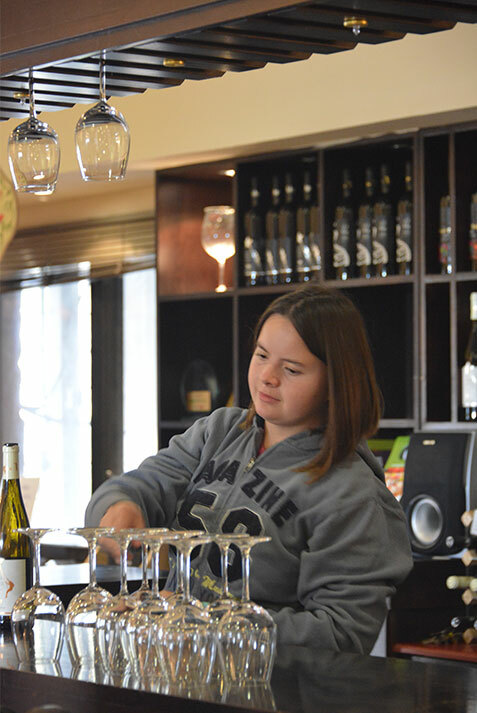 Many residents work outside of the village in the neighboring communities or alongside independent entrepreneurs who have established businesses on the grounds of the village. 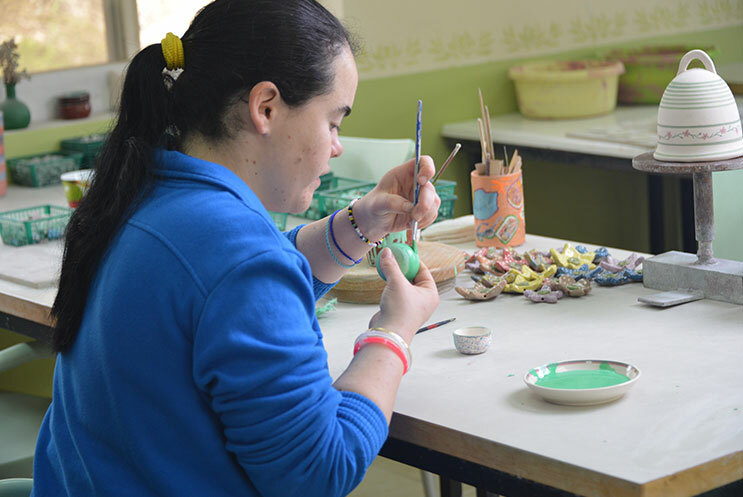 Others work on site in our our therapeutic workshops or in jobs that support the functioning of the village. 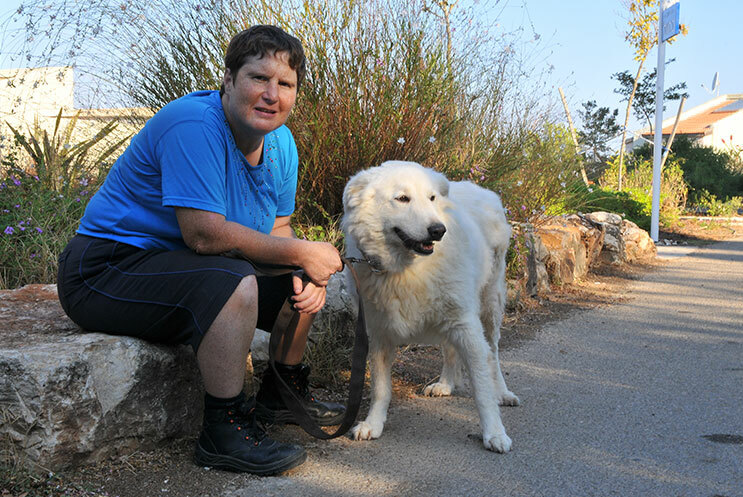 Kfar TIkva is always looking for new enterprises to join the village. Please contact us if you are interested. 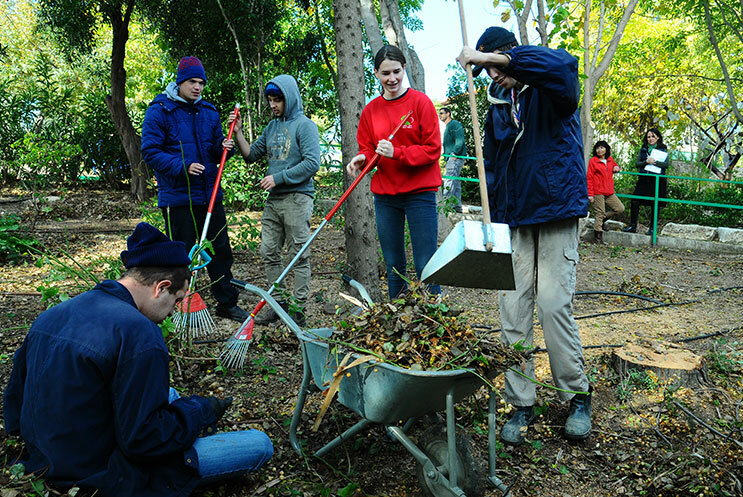 Residents working outside of the village are employed at local pre-schools, supermarkets, not for profit organizations and restaurants or serve as volunteers in the a local Air Force Base. 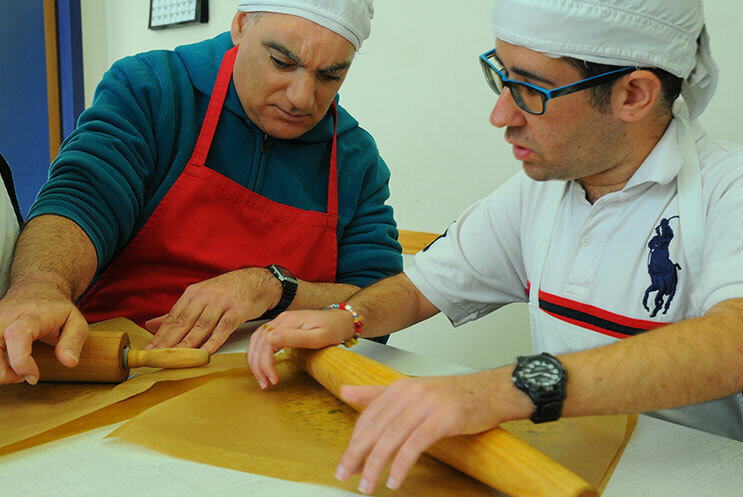 Regardless of where they work, residents are supported and trained by the staff and their social works to know what to expect, how to handle work situations and interact with colleagues from the community at large. Still other Residents work in the support of the daily functioning of the village including; the laundry, dining room, landscaping, clothing boutique or at the on-site dog kennel and more.